Ever wonder what the narrator really thinks of an audiobook? 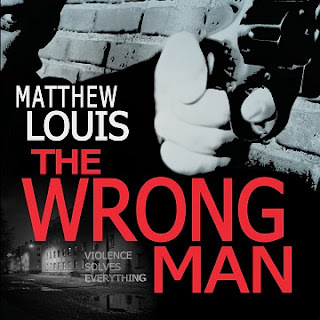 Matthew Louis fires a few questions at voice artist Robert Neil DeVoe, who just produced a spectacular audio version of The Wrong Man in which DeVoe ingeniously brings to life the deeply conflicted protagonist and the lowlifes and working class heroes who populate the tale. Thanks for agreeing to the interview, Robert. With the popularity of audiobooks exploding, many people are doubtlessly interested in what goes on in the mind of the narrator. You are essentially lending your personality to someone else's intellectual construction. Do you have to be enthusiastic about a title in order to undertake the process? Absolutely yes. I believe it's very important that I am personally invested in the story at least in some way. Audiobooks are definitely an art form, and I think having confidence in your art is essential. That, and in the process of making the audio book, I will need to read through the text at least three times, so it helps if the book is also entertaining for me to read as well! Do you have literary ambitions yourself, or just happen to read a lot? What led you to this field? I've always been interested in story telling and creative writing, but I'm very poor at being able to just sit down and force myself to write something to completion. For audiobooks, I started out doing stage acting and then later transitioning to independent films and finally television. I started getting interested in voice overs a few years later, and I've found that is a perfect mix of story telling and performance art. I see that you were actually a television actor in Singapore. How did that come about? Do you speak Chinese? Wrong Man's protagonist, Sam Schuler. I had done some stage and film acting before, but when I was living in Singapore, that's when I really started doing TV. I do speak fairly fluent Chinese, and so for them that was a big draw, as Chinese speaking Caucasians that have acting experience are very few and far between still, though I think that is changing with time. I was drawn to the Singapore TV industry right away, but it takes a lot of effort to even appear on their radar as there is really only one TV production company and they are pretty much an arm of the government. I did about 15 independent and student films before they started to become aware of me, then they started assigning me one off parts where maybe I would have 1 or 2 lines of dialogue. I did that for about 6 or 7 drama series, and then suddenly one day I was offered to be a recurring cast member on a series, and then also a supporting character of a 3 episode story arc in another series that was filming at the same time. Regarding The Wrong Man, what were your initial impressions? What made you want to audition? I would say the theme and initial concept were what caught my attention initially. I'm a big fan of classic noir film and literature, and this seemed like it was an attempt to put that in a fully modern concept. Also, I could tell that this book would need a number of accents and that it would be a big challenge. I often try to find acting experiences that will force to me adapt and grow, and this was definitely one of them. The story is told in the first person, and I knew right off that you had the right voice and delivery for the protagonist. Is this just lucky coincidence, or did you relate at all to Sam Schuler? I don't know if this is true for everyone or not, but I often find myself having day dreams that I suppose are simplified versions of the plot of The Wrong Man. 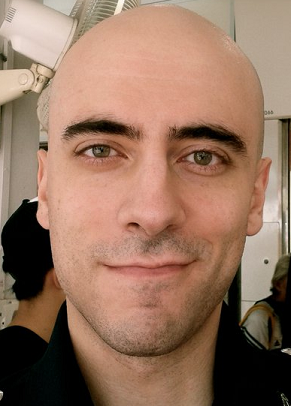 What I mean is, say I'm walking down the street alone at night, and I see a big group of tough looking guys walking towards me, looking cocky and laughing amongst themselves, cigarettes dangling out of their mouths and arms covered in dark tattoos. The first thing I'm always going to think of is, what would I do if they just suddenly stopped me and tried to attack me? Then my brain will start going through all these scenarios where I imagine I'm this kung fu master, taking down each guy one at a time, but then reality sets in and I realize I would probably just end up getting myself killed or at least sent to the hospital if I tried to fight, and the day dream just keeps going on and on long after I've already made it back home and those guys are long gone. My point is, I think it's that kind of instinctive fear, that "what if" mentality that we all live with, that made me able to understand Sam's character better. That's not because Sam was a dreamer, but because those sort of day dreams I sometimes have are now a reality for Sam. There is some extreme violence in The Wrong Man, all the worse, I've been told, because it remains rooted in mundane reality. Did narrating any of that bother you? Oh not at all. I thought it was perfect given the setting and the people involved. A big part of the story is apprehension and fear, and the violence sets the perfect tone for that theme. I think I only dislike narrating things that relate to bathroom activities and such, violence usually doesn't bother me. Can you summarize the story for anyone considering checking it out? The Wrong Man is one of those books that makes you ask yourself, if it was you, how far would you go to protect yourself and your family? Reading along with the book can be a terrifying experience, as you keep wondering, what on earth is Sam thinking? Is he trying to get himself killed? And then on the other hand, there was the scene where Sam pulls a gun out on some approaching thugs making them stop dead in their tracks, and you think to yourself, finally, time for some retribution. All in all, the book is well written, and the pacing is spot on. When it comes to this type of action/suspense story, pacing is everything, and this book does it right.